“How to Be a Latin Lover” edged past Emma Watson and Tom Hanks’ “The Circle” at Thursday previews, earning $450,000 from over 925 U.S. locations — “The Circle” earned $430,000. Based on the 2013 novel by Dave Eggers, “The Circle” stars Watson as Mae Holland, the newest employee of The Circle, a powerful social media company founded by charismatic tech guru Eamon Bailey (Hanks) and his partner Tom Stelton (Patton Oswalt). To gain further standing in the company, Mae takes part in The Circle’s top priority project which could forever change the standards of privacy and personal freedom. Soon, a mysterious colleague (John Boyega) approaches Mae and asks her to help him shut down the project, which soon comes to impact those Mae holds dear. The film is directed by James Ponsoldt (“The Spectacular Now”), who also co-wrote the script with Eggers. The cast also features Ellar Coltrane, Glenne Headly, Nate Corddry, Karen Gillan and the late Bill Paxton. It is the first wide release in STX and EuropaCorp’s 3-year distribution deal, which also includes the summer sci-fi film “Valerian and the City of a Thousand Planets.” “The Circle” will be released in 3,163 screens and is projected by STX for a double-digit opening, while trackers estimate $13 million. EuropaCorp acquired “The Circle” for $8 million. 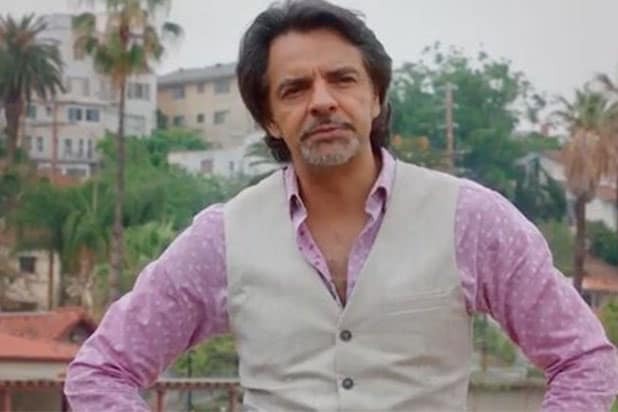 Pantelion’s “How to Be a Latin Lover” is a comedy from director Ken Marino that stars Eugenio Derbez as Maximo, a womanizer who marries older women for their money and gets the shock of his life when his 80-year-old wife of 25 years suddenly divorces him for a younger car salesman. The film is written by Chris Spain and Jon Zack and also stars Rob Lowe, Kristen Bell, and Rob Riggle. Trackers have the film making $7 million this weekend. WWE Studios and BH Tilt’s “Sleight” is also being released, which stars Jacob Latimore as a young street magician who is left to care for his little sister after both their parents die. However, he quickly turns to illegal activities and gets in trouble with the wrong people. Directed by J.D. Dillard, the film also stars Seychelle Gabriel, Dule Hill and Storm Reid. WWE and BH Tilt acquired the rights to “Sleight” at Sundance Film Festival in 2016. “The Fate of the Furious” is entering its third weekend and is approaching the $1 billion mark. Last weekend, “Fate” made $38.4 million domestically in its second weekend, which should put its third frame somewhere between $15-19 million if it takes a drop-off between 50-60 percent. From her initial "Harry Potter" days to 2017's "The Circle," see how Emma Watson's acting career evolved, as well as her stunning beauty campaigns. Emma Watson was born in Paris, France, on April 15, 1990 to English parents. She lived in Paris till she was five, and when her parents separated, she moved back to England with her mother. Watson trained at the Oxford branch of the Stagecoach Theatre Arts where she studied singing, dancing and acting. There, she performed in various productions and school plays. In 1999, Watson was cast in the part of Hermione Granger in "Harry Potter and the Philosopher's Stone" after eight auditions. This was her debut screen performance, and the film broke records for opening-day and opening weekend sales and was the highest grossing film of 2001. A year later, she reprised the role in the sequel, "Harry Potter and the Chamber of Secrets." In 2004, Watson starred in "Harry Potter and the Prisoner of Azkaban." One year later, she starred in "Harry Potter and the Goblet of Fire." In 2006, Watson became the youngest person to appear on the cover of Teen Vogue. In 2007, the actress starred in the fifth film in the "Harry Potter" franchise, "Harry Potter and the Order of the Phoenix," which set a record worldwide opening-weekend gross of $332.7 million. That year, Watson, Daniel Radcliffe and Rupert Grint left their imprints in front of the Chinese Theatre in Hollywood. Watson was named Hollywood's highest paid female star in February of 2010, having made more than $30 million in 2009. In 2007, Watson starred in the BBC film "Ballet Shoes," an adaptation of the novel of the same title by Noel Streatfeild. In 2008, Watson lent her voice to the role of Princess Pea in the animated film "The Tale of Despereaux," alongside "Harry Potter" costar Robbie Coltrane, who played Rubeus Hagrid. In 2009, Watson partnered with Burberry as their face of their 2010 Spring/Summer campaign. The sixth "Harry Potter" film premiered in July 2009. "Harry Potter and the Deathly Hallows -- Part 1" was released in 2010 while the second part was released in 2011. In 2011, Watson became the face of Lancome. In her first post-Potter" role, Watson appeared in 2011's "My Week with Marilyn." In 2012, the actress starred in the film adaptation of "The Perks of Being a Wallflower." A year later, Watson appeared as Nicki in "The Bling Ring," a film about the real-life Bling Ring robberies. Watson also had a supporting role in 2013's "This Is the End" opposite Seth Rogen and James Franco. In June 2012, the actress was confirmed to play Ila in Darren Aronofsky's "Noah," which was released in March 2014. Watson was appointed as the UN Women Goodwill Ambassador in July 2014. In May 2015, Watson graduated from Brown University with a bachelor's degree in English literature. It took her five years to graduate due to her acting work. In 2017, the actress played Belle in Disney's live-action "Beauty and the Beast," which was a critical and commercial hit. A month later, Watson starred in "The Circle" opposite Tom Hanks, John Boyega, Karen Gillan and the late Bill Paxton.